Get answers to all your queries on any subject from our experienced and renowned Subject Experts directly. Get the exclusively designed educationware for Evergreen Scholars and get the easy access to your curriculum, anytime and anywhere. Easy approach to answer keys and other supportive material, specially designed for teachers and tutors. Download solutions of 100% Success – Sample Papers and Mock Test Papers. We are leading publishers with 21st century mindset. Our books are strictly based on respective education board guidelines with a special essence for targeted audience by the marvels of book world. We publish all kind of educational books as well as well tested supportive material. 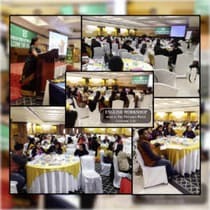 We are the pioneers, not only for publishing books and study materials for India and abroad but also as one-stop solution for printing, digital teaching tools (computer/ tab based), skill enhancement workshops and much more. 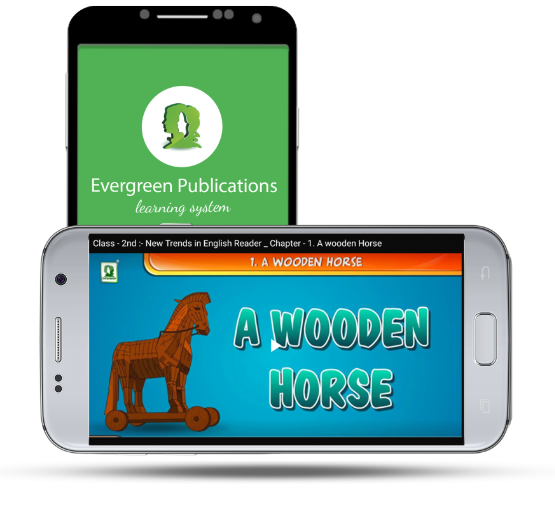 Get all your Evergreen books at your fingertips. Stay ahead of others with interactive study material in the form of animations, videos and online tests. Click the Google Play icon below or Click Here or Get Link in Email. 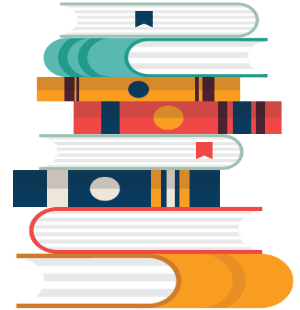 "Evergreen Publications is always my first choice, as I'm really impressed by the quality of matter, presentation of data to the intractive designs of books. Evergreen books got the interest building factor, making it an ideal choice for the students." "Evergreen Books are one of the most trustable knowledge acquisiton source for our young scholars. I've felt the difference personally, in the chemical bonding skills of my daughter!" "As a principal, it's my duty to fulfil the promise of quality education with my students. There's no doubt, Evergreen has always been my best companion in this mission." "Teaching has always been a challenging job of finding ways of explanation, Evergreen Books are my compatriot for preparing, hard-core lectures for easy understanding of concepts." "Evergreen Books are always my first recommendation to my students as it got the 'Complex-Concept Made Easy-Approach' in all their assets." 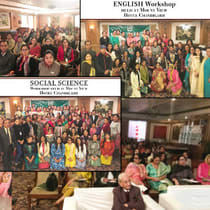 English Workshop held at The Piccadily Hotel Lucknow, U.P.